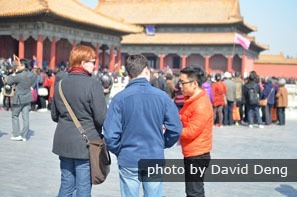 Tour Guides in China — a Guide to Chinese Guides! 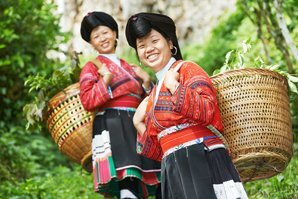 China has tens of thousands of trained and licensed tour guides. Some of them may also be teachers, librarians, etc., working as guides part time, but all of them must pass a strict examination to be qualified to work as a tour guide. Hiring a tour guide can cost varying amounts, but you can expect to be paying $100–$200 per day. China&apos;s tour guides are categorized into three classes. 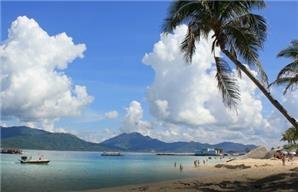 Class 1 can work directly with foreign tour operators. Tour guides working at this class are usually more experienced. English language is most often their primary foreign language. They work according to pre-arranged schedules arranged by the employer with the client. 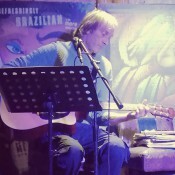 If you&apos;re visiting less-developed areas, such as along the Silk Road, in Tibet, or in parts of Sichuan and Yunnan you will want an experienced guide with a good level of spoken English. However, in such areas, a guide with good English is more difficut to find than in Beijing or Shanghai. Zhangjiajie, for example, is becoming a very popular destination, but is another place where tour guides&apos; English may not meet your needs. Yes! Your trip to China should be a trip of a lifetime, so why risk any chance of disappointment? You may want to contrast Traveling Independently in China — How It Differs from in the West. 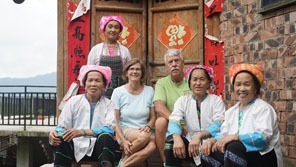 Travelers who journey with China Highlights will always get a skilled, resourceful, experienced, and sympathetic guide, with the comprehensive local knowledge you need to ensure you get the most out of your trip. Group Guide or Private Guide? On a private small group tour, your guide may also be your driver. Private means personal service. That is the question. But perhaps the real question is: "How do I maximise the potential of my time, considering the money I’m going to spend on what should be a trip of a lifetime?" We hope we can help you answer this "sixty-four-thousand dollar question" here. If you’re active, walk faster than average, or just get bored easily, you may find yourself frustrated with a group tour. Conversely, if you have any disability, need to walk slower, eat slower, visit the toilet more, or sleep later, then keeping up with a group can be an ordeal. You may also want to stay longer in a particular place to go deeper and discover more. On a private tour you can go at your own pace. More of What You Want — Less of What You Don&apos;t! 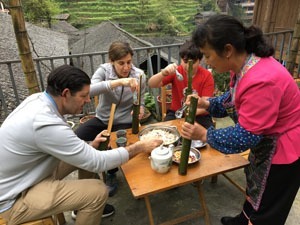 With a local guide you can get the most out of experiences like making bamboo tube rice at the Longji Terraced Fields. Tour guides conducting package tours have to treat the group as a &apos;herd&apos;. This means you have to compromise for the sake of the group. With a group guide and tour you just have to take what is in the package. Your needs and requirements are secondary (if that!) to those of the group. What if you’re not feeling well and want an easier day, plainer food, or you’d like to stay longer for more photos at a view point? On a group tour you must plough on or get left behind and miss out on what you paid for. On a private tour with a resourceful and experienced local private guide, your schedule can be adjusted to suit your circumstances and needs, so you make the best of your time and enjoy your China experience more. Private means your choices count. With a private tour, your guide is focused specifically on you and only you. You choose every aspect of your trip. That means a trip you can really look forward to and look back upon as time and money well spent. A security guard to keep you safe — their primary objective is keeping you safe and making sure you’re comfortable and ‘looked-after’. Your own barometer! 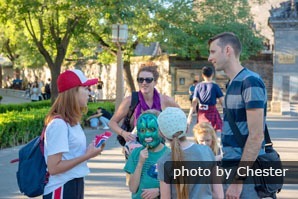 Resourceful flexible and adaptable - to your requirements — Your guide may change an itinerary around if the weather is not suitable for an attraction. For example, if it&apos;s raining in the morning, your guide may move your museum visit forward, allowing you to do your outdoors thing later during better weather. Your mobile database — Each guide has in-depth local knowledge as well as at least 4 years&apos; training. Your personal fixer — There to make your trip as great and comfortable as possible. A treasure hunter! You’ll see and experience things with a good locally based China Highlights guide that you’ll miss with group tours and guides. 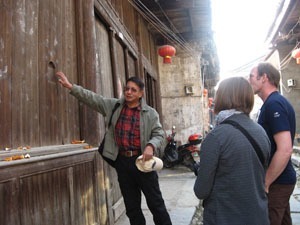 Mr Zhang, one of our Guilin guides, in an expert on the ancient town of Daxu. A China Highlights guide is there to ensure your satisfaction. Our expertise is focused and in-depth — China is all we do. A guide who speaks your nominated language will meet you at the airport, deliver you to your hotel and accompany you on your tour in that city. You will usually have a different guide in each city with in-depth knowledge of the area. Discover the China Highlights difference — Meet our experts!